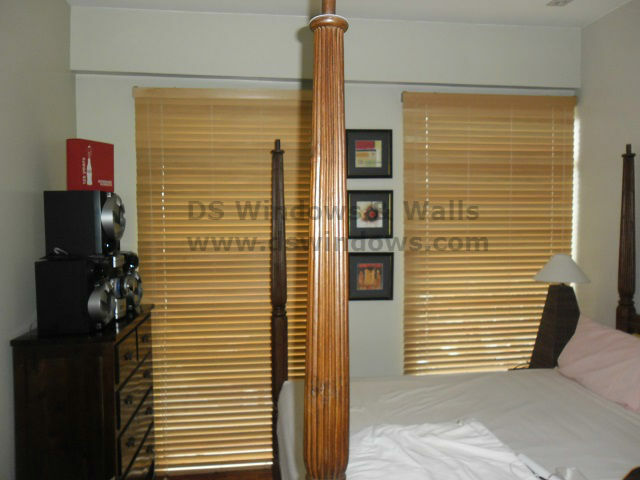 Wood Blinds are one of expensive yet very elegant blinds in the market. Wood blinds is mostly constructed from oak, maple or cherry, which means the slats are made of solid wood and then stained or painted. Our Client in Sta. 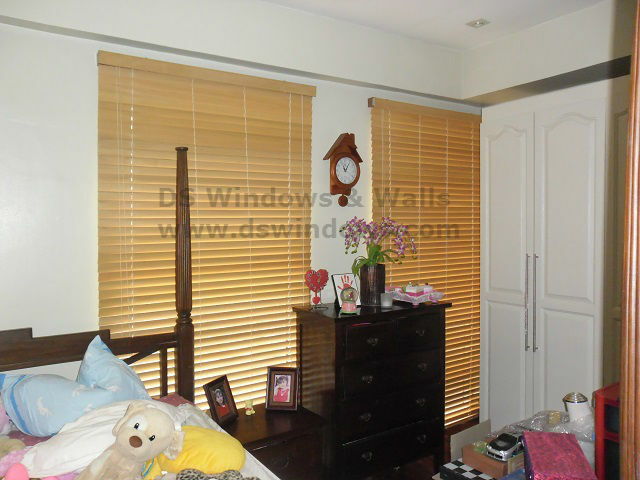 Rosa, Laguna, Philippines opted for Wood blinds as their window cover because of the elegance it brings and most especially because of its durability. He knows that wood blinds have a more high-end visual appeal and it can last long for several years. The advantage of having wood blinds to your home is that it can bring warmth and natural beauty to your windows. Using wood blinds, it can also increase the privacy and light control of your home. DS Windows & Walls offers a unique and high-quality solution for your traditional and contemporary homes. We also offer different kinds of blinds that will perfectly fit and make your home more unique and sophisticated. We have the Mini Blinds, PVC and Fabric Vertical Blinds, new designs and materials for Roller Blinds and Combi Blinds and Faux wood blinds as an alternative to Wood Blinds. Aside from blinds, we also have Vinyl Wallpaper, Carpets and PVC Accordion Doors. 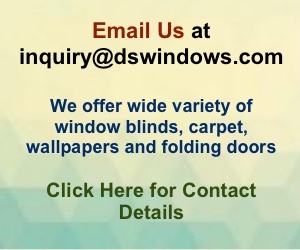 For more inquiries about our products and services, you may call us at (02) 893-1373 / (02) 403-3262 / 0916-311-3909 or email us at inquiry@dswindows.com. You may also visit our stores located at 2nd level Pacific Mall Lucena City, 3rd Level Robinsons Metro East, Pasig City and 4th Level Waltermart, Makati City. You may also browse our Facebook Page and like us at https://www.facebook.com/windowblindsphilippines. For Calabarzon area, you may contact Mr. Patrick Villapando at (Globe) 0917-583-0214 or (Sun) 0922-592-6111.